The "YONEX-SUNRISE 2017 Hong Kong Open Badminton Championships" has been successfully held. Besides the star-studded line-up on the court, celebrities from different sectors of the community have come to support and enjoy this world-class event. The annual world class badminton event attracted a number of celebrities who love to play badminton. There were singers like Sally Yeh, Hacken Lee, his wife Emily Lo and former ‘Miss Hong Kong’ Loletta Chu, actor Steven Ma, etc. Politicians have also attended the event, included CHAN Mo-po, Paul, Financial Secretary of the government of HKSAR, Mr LAU Kong-wah, Secretary for Home Affairs and Wong Kam-sing, Secretary for the Environment. 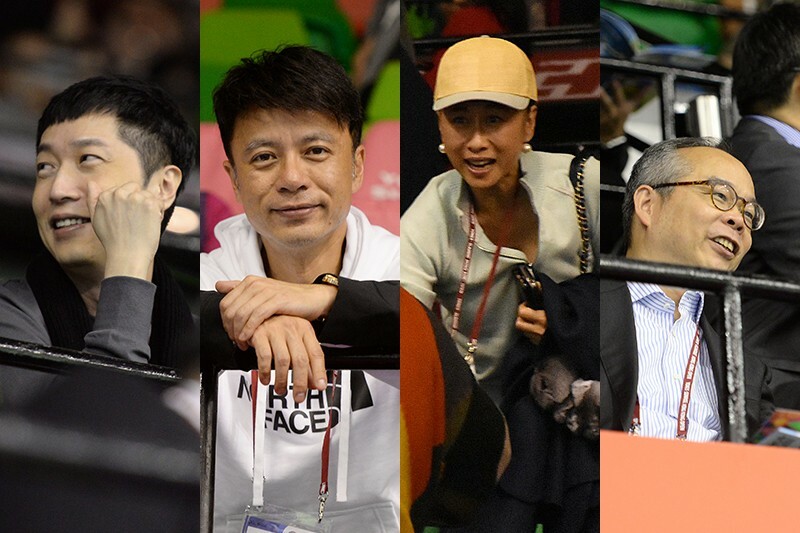 Legendary players, such as Xie Xingfang, Lin Dan’s wife, Wang Shixian, Chen Long’s wife, former Hong Kong Mixed Doubles Amy Chan, Chan Chi Choi, have also come and support the event.